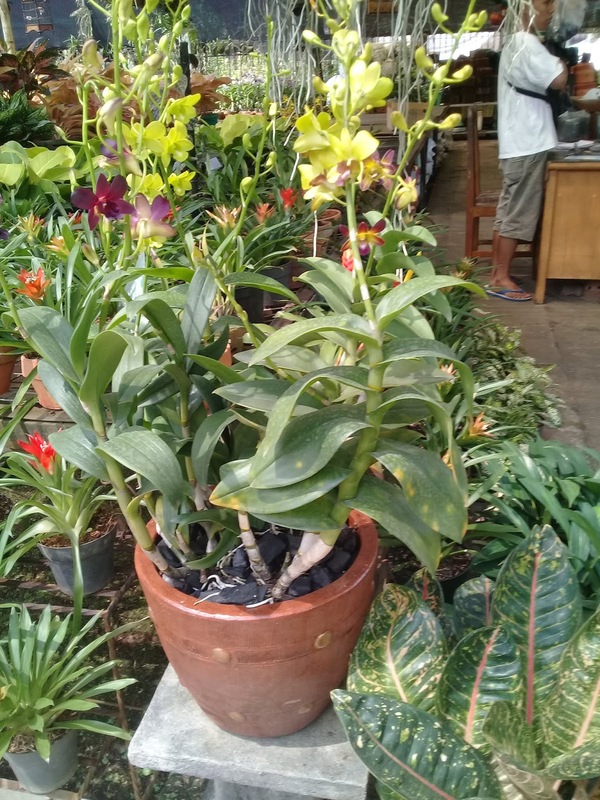 Pot anggrek, anggrek diatas meja dengan pot gerabah, pot medium untuk anggrek dendrobium, pot tanah liat untuk dekotasi ruangan dengan tanaman anggrek berbunga menarik. 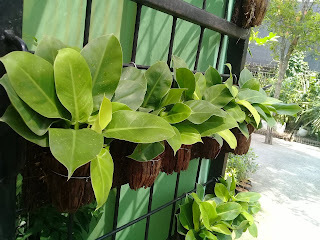 Anngrek sebenarnya menggunakan pot kecil berukuran 17 cm, dan pot diamter 20 cm, tetapi bila ingin ditampilkan secara group bisa menggunakan gerabah ukuran medium. 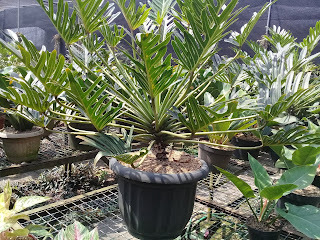 In a potted environment, media soil nutrients can eventually deplete. Adding fertilizer can artificially provide these nutrients. However, adding unnecessary fertilizer can be harmful to the plant. Because of this, careful consideration must be taken before fertilizing. If a plant has been in the same potting mix for a year or more and is no longer thriving, then it may be a candidate for nutrient replacement done by using a complete fertilizer at half the recommended label dilution rate. Fertilizers potted plants for indoor decoration are usually marked with a number such as 20–20–20. These numbers indicate the percentages of nitrogen, phosphorus, and potassium respectively, the three elements that are needed in the most quantity for plant growth. Nitrogen is essential for green, leafy growth. Phosphorus is essential for flowering or fruiting plants. Potassium is essential for strong roots and increased nutrient uptake. Numbers higher than 15 are usually man-made, chemical fertilizers. Organic fertilizers have a much lower ratio. A 4–2–2 ratio of these elements is usually good for green foliage plants, while a 2–6–4 ratio is usually better for flowering plants. A complete fertilizer will also include the minor and trace elements, such as calcium, magnesium and iron.